This food dehydration machine has the advantage of being able to be expanded from four trays to seven trays which will go a long way in allowing you to dehydrate bulk food in a short period of time. It is also very easy to clean since its components are designed in such a way that they're dishwasher safe. You can also easily monitor the dehydration process since its top cover is made of transparent plastic. 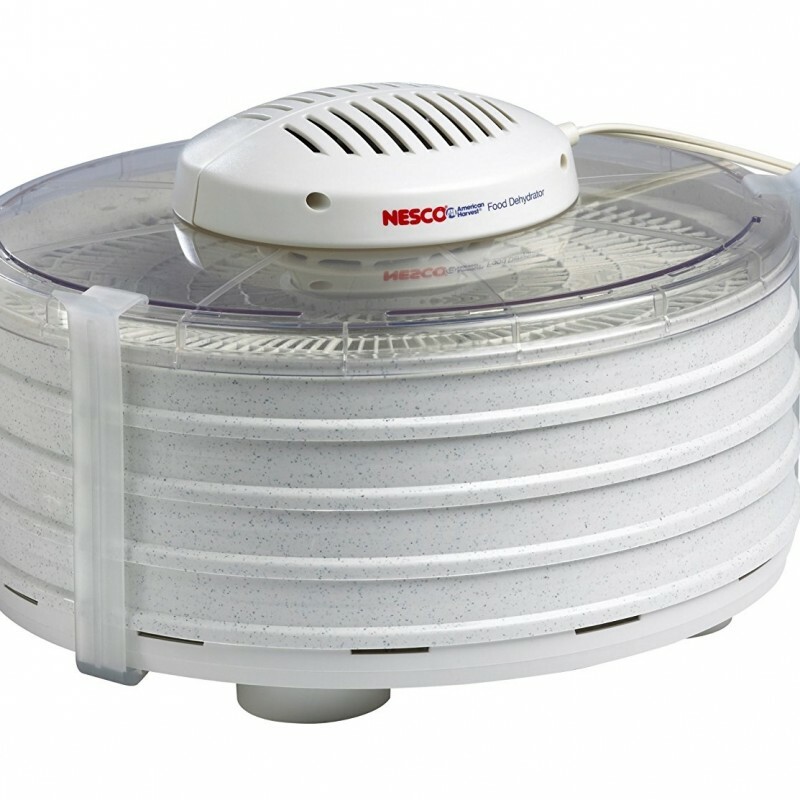 To ensure that the foods are properly dehydrated it is fitted with a fan that is quite efficient in generating radial air flow. However, it does not come with a digital thermostat or a timer and its fan is quite loud. It is fitted with very simple parts that are very easy to setup which is time-saving. You will love that it comes in small dimensions that will not take up much space on the kitchen counter. 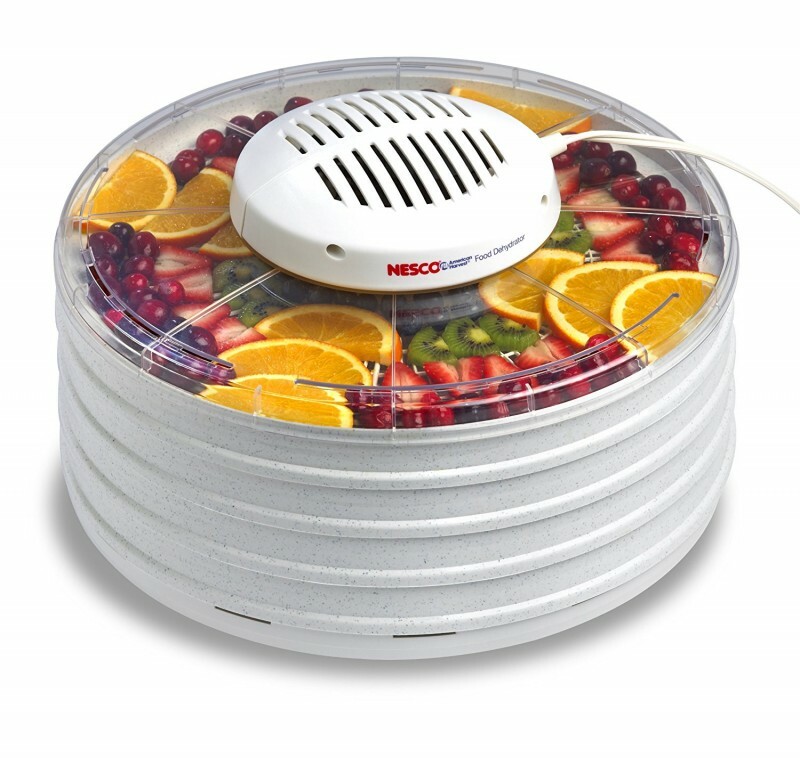 It can be expanded to dehydrate up to seven trays of food thus making it ideal for bulk food dehydration. You'll have an easy time when it comes to transporting it after you're done or during storage since it has clips on its side that make carrying it very simple. 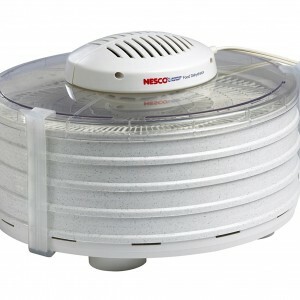 It is very efficient when it comes to distribution of air evenly to the foods to ensure proper dehydration thanks to the fact that it is fitted with a fan that works tirelessly to deliver radial airflow. You can monitor the dehydration processes through its transparent top cover that is transparent. It is very easy to clean thanks to the fact that its parts are dishwasher safe. It does not come with a digital thermostat or a timer. Its trays are not nestable to allow for easy storage. Its fan is quite loud.